I’m a Christian living in America; a pastor in fact. This week my life is full of meetings, praying, studying to preach, writing, leading, discipling, speaking at a conference, and enjoying an occasional Starbucks on top of my home priority. 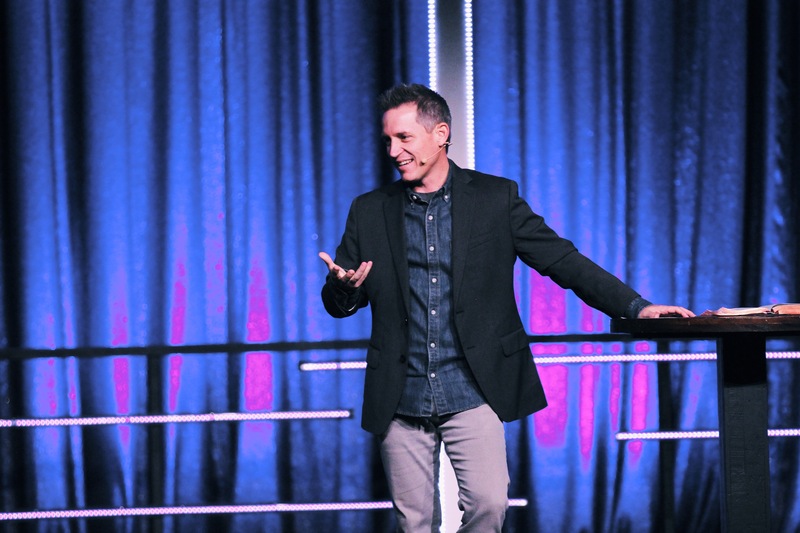 I am doing my best to live for Christ by making disciples, equipping families, and serving the world with the gospel and empowering others to do the same. I’m honored to travel to the Middle East regularly and to support and partner and further the gospel in hard places. But… I always get to come back. This week I have experienced an awful tension. What am I supposed to do in light of this? What are we supposed to do as our brothers suffer intense persecution and become martyrs? At the moment, I don’t have all the answers. As I am seeking the Lord I sense the need to pray more, fast more, mobilize more, go more, share the gospel more, etc. While kings, presidents, and governments have their God ordained duties to respond, my role as a follower of Jesus is clear. “Only let your manner of life be worthy of the gospel of Christ…” (Philippians 1:27). I am still praying and processing as I think about recent affronts to the nation of the cross. My biggest question becomes, is my way of living worthy of the gospel of Christ? We cannot go on like nothing is happening. The spiritual battle is clearly spilling into the physical realm. Follow Jesus wherever he leads… home, across the street, to a different job, to a beach on the Mediterranean. It’s a different way of living but the payoff is eternal. Think about these things. Don’t just move on. I love you and your passion for Christ. Let me encourage you not to fear for a few reasons. Though every day we are closer to our Lord’s promised return, the evil events of modern history are equaled in days gone by. 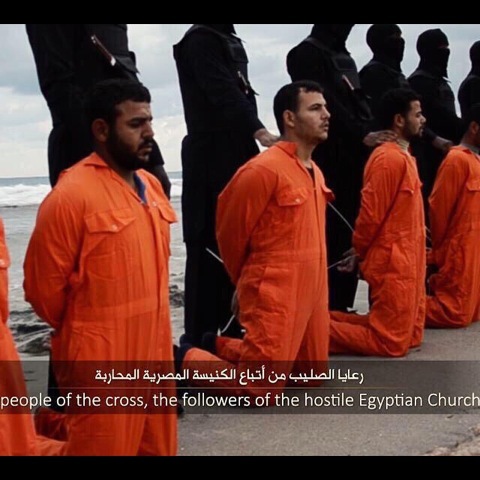 These are not the first days of Christian beheadings nor are they the last. However, we need not fear. 2. As believers, we have eternal life with the victorious King. 4. God did not give us a spirit of fear. I like what Paul says when he encourages the Philippian church to remain true in the face of persecution. The Holy Bible: English Standard Version. (2001). (Php 1:27–30). Wheaton: Standard Bible Society. I might also add that the incident in Houston regarding the burned Mosque is tragic. My assumption about the people that burned that Mosque is that they were full of fear and hate; opposite of what Christ’s way of living requires. My thought is that the Imams in Houston would discourage any form of retaliation as it would ruin an image of peace and collaboration they are trying to build in the city of Houston. That does not exempt the city from jihadist acts of extremism but I don’t think you should worry either way. As far as global peace; It will not come, according to the Bible, until the Prince of Peace returns and separates the sheep from the goats, judges, and ushers in a New Heaven and a New Earth. Until then, we must pray for peace, share the gospel, and walk in faith, following the Good Shepherd wherever he may lead. No time for fear, only faith. Be blessed old friend. We miss you. I sincerely appreciate your bold faith, and for keeping the rest of us informed on the current issues in the Middle East, and within our own homes. Your blog entry brought tears to my eyes…and challenged me to stay true to my love for Christ…to live more selflessly for Him and His forever Kingdom. You and your family are in my prayers. P.S. We begin a parent group study tonight, using your book, Legacy Path. Thankful for your passion for Christ and the Christian family. Thanks for your kind words and prayers. I will be praying for your parent group. May a legacy of faith flow from the generations that will come from your group. Blessings. I feel the pain and struggle of our faith being tested. I have begun to boldly cry out more to Our God. We cannot turn a deaf ear or blind eye to what is happening in our world. This is no different than what Saul did in Acts 9. Things will get worse, albeit, if they ever get better, which they will not. We are speeding down the road to events which will set up Armageddon, the ultimate showdown between good and evil. It’s just a matter of time. Every knee will bow and every tongue will confess that He, God Himself, is LORD! In the meantime, what do we do? In light of the Muslim building that was just burned to the ground here in Houston, my fear is that our churches will become targets of beheadings.Then what? Brian, we are all distraught. There is no answer to global peace. Please respond to my text here. I respect your thoughts.